A saner way to organize your Google Drive files to get things to your students and to have them hand things in. Feeling overwhelmed by the mammoth amount of emails in your inbox (after you have proudly reduced it to 30 during a sleepless night), only to discover that 28 of them are from your students sharing a Google document with you? Google Classroom will bring email sanity back by skipping that step. You create the template and Google will make copies for each student in your classroom. The best thing is to go get the information from the horse’s mouth at Google Classroom Training. FYI: It does take a bit of work to set it up depending on how your district has everything setup but once you have it going you will never look back. Google just announced new features to Google Classroom that are interesting and we look forward to trying (post questions for discussion, reusing assignments, better calendar integration, bump a post, optional due date, attaching Google forms to a post and greater YouTube controls). 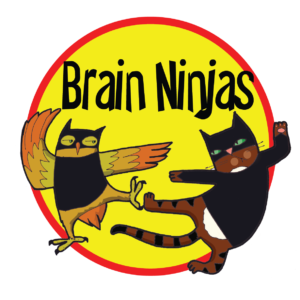 If you don’t have access yet, it is worth putting pressure on the powers that be to have access to a tool such as Google Classroom…it has made Ninja life a lot less tiring, letting us focus on our other ninjas moves! If you have used Google Classroom, share your thoughts about it.